Fashion blogger, Jennifer Grech is a southern California based blogger with a focus on effortless style. Her blog Sprinkles on Sunday shares her favorite fashion finds and looks that are trendy and cool yet effortless. When we came across her blog, we knew her style fits perfectly with the Glamour Jewelry Box especially with her simple and girly looks that are obtainable for the everyday woman. We had the chance to learn more about Jennifer’s love of fashion, her jewelry style, and everything else in between! Jennifer’s first job out of college was in merchandising for a clothing brand and after she left that job, she was in search of a creative outlet. “For years my friends have come to me for fashion advice, so I decided to start Sprinkles on Sunday as a way to share what I love with women everywhere! 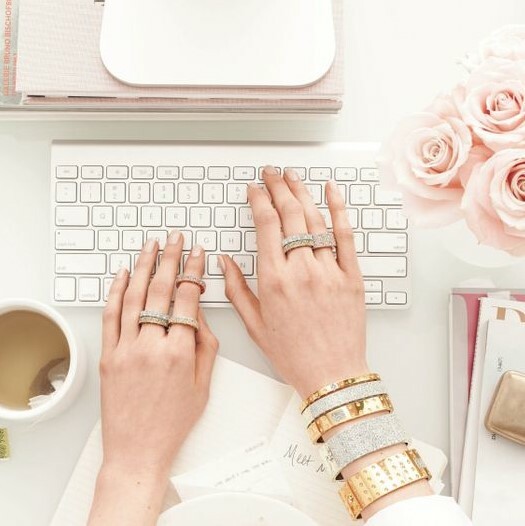 My favorite thing about blogging is connecting with all of my readers! It has also been fun to meet other bloggers, many of which have become good friends!” said Jennifer. Please take some time to follow Jennifer on her Instagram page and check out her official blog Sprinkles on Sunday to get more tips and find deals on the trendiest outfits! Please also check out the Glamour Jewelry Box, a monthly subscription where we send you the latest jewelry pieces every month to your door!